Whilst some boutique hotels are, by their nature, more expensive than regular hotels, it is possible to stay somewhere small and individual without breaking the bank. Should good design and individuality only be available to the wealthy and privileged? Many boutique hotels want a wide range of guests to see what it’s like to have a completely different hotel experience and, whilst they may still be more expensive than a youth hostel or a regular guesthouse, you’ll be getting fantastic comfort and service for a great price. This hotel has just nine bedrooms, and it’s chic and trendy. Set in the heart of Vienna’s old town, it’s an ideal base for visitors, who can enjoy Vienna’s fabulous buildings and culture as soon as they step out of the front door. Designed to make you feel right at home, the public spaces are perfect for reading or chatting and the room price, which starts at just €130, includes an individual breakfast, tailored to your tastes. This small hotel is set in a medieval village, not far from the sea, on France’s south coast between Nice and Antibes. Beautifully designed to let you experience life in a traditional French village, it uses light and natural materials to create a cool, relaxing environment. 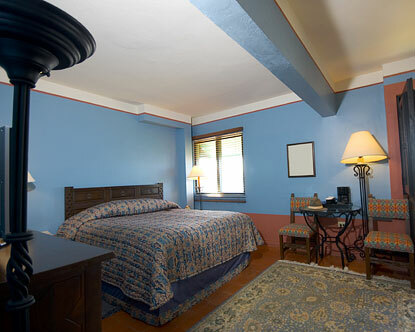 With only four double rooms and one suite, it’s the perfect getaway. Double rooms start at €115, with freshly-prepared breakfast just an additional €6. A boutique bed and breakfast, the Casa de Poema is an elegantly-designed property, sitting in a residential part of Porto. With breakfast available on the terrace, with ocean views and an honesty bar in the drawing room, it’s a bed and breakfast with a difference. Double rooms are from €125 including breakfast. Ten luxury bedrooms, chic design and a great restaurant characterise Can Carerres. The perfect spot from which to explore Barcelona and the surrounding area, it provides a haven of calm and tranquillity. It is family friendly, providing babysitting services and a play area for children, but it doesn’t stint on hip decoration and fresh cuisine. Rooms start at €120, including breakfast. It’s possible to have a fantastic long weekend away in these hotels and others without spending a fortune. Take the plunge and see what a difference a chic hotel could make to your next trip.